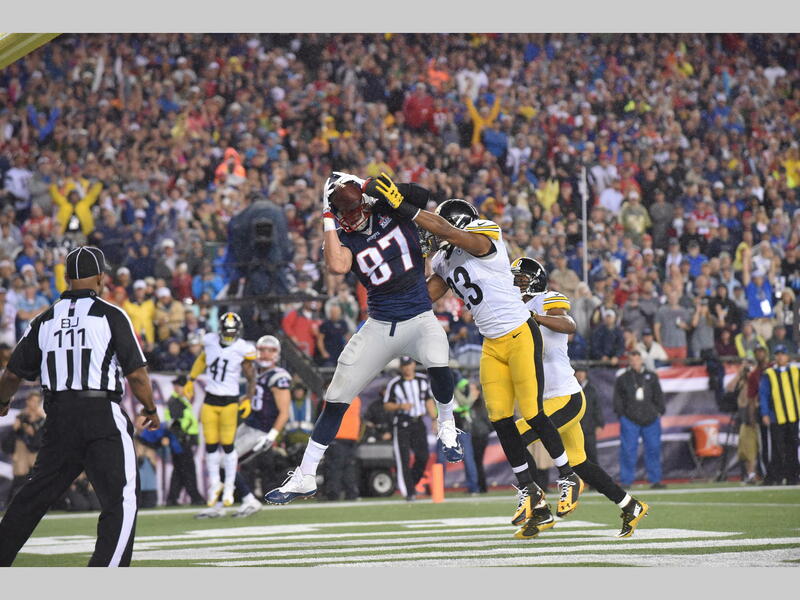 Patriots Take Advantage Of Steelers Mistakes And Get The Victory | NFL News, as it happens, when it happens. Your one stop shop. The 2015 National Football League regular season has finally begun, and it began Thursday night when the New England Patriots defeated the Pittsburgh Steelers 28-21. The game started out with the two teams struggling to score. On the first series of the game, Pittsburgh took the ball down the field but were stopped inside the thirty-yard line. Steelers kicker Josh Scobee missed his first of two field goals on the night, the first being a forty-four yard attempt. The unfortunate part of the series for the Patriots was that second-year defensive lineman Dominique Easley went down with a hip injury and did not return to the game. It would be tough for the team to lose him for a significant period of time, seeing how well the Steelers ran the ball on the Patriots Thursday night. On offense, the Patriots and Tom Brady moved the ball up and down the field with ease all night long. Tom Brady finished 25 of 32, for 288 yards, and four touchdown passes. He was sharp as he has ever been, and with the victory he surpassed Brett Favre as the winning quarterback with one single franchise with 161 wins. All the off field noise and distractions did not seem to bother him one bit. The real story of the night offensively for the New England Patriots was the play of Rob Gronkowski. He is without a doubt the most dominating offensive weapon in the game. He finished the game with five receptions, for 94 yards, and three touchdowns. Gronkowski just makes it so easy for Tom Brady, all he needs to do is put the ball high in the air in the end zone. In addition, the Patriots received a contribution from another tight end, Scott Chandler who had a three-yard touchdown reception. The Patriots received big time offensive contributions as well from Julian Edelman, and the surprise player of training camp Dion Lewis. Lewis finished with 69 yards on 15 carries. He did however fumble the ball inside the five yard line at a key moment in the fourth quarter. Luckily it was recovered by Rob Gronkowski and the Patriots scored a few plays later. Even though Julian Edelman did not play at all in the preseason, and was sidelined for much of camp with an ankle injury, he did not show any rust on Thursday night. Edelman brought in 11 catches, for 97 yards. He was as always, the spark plug in the Patriots offense catching short passes and consistently getting yards after the catch. Fans need to pray that he stays heathy, because it will be nearly impossible to replace that production. 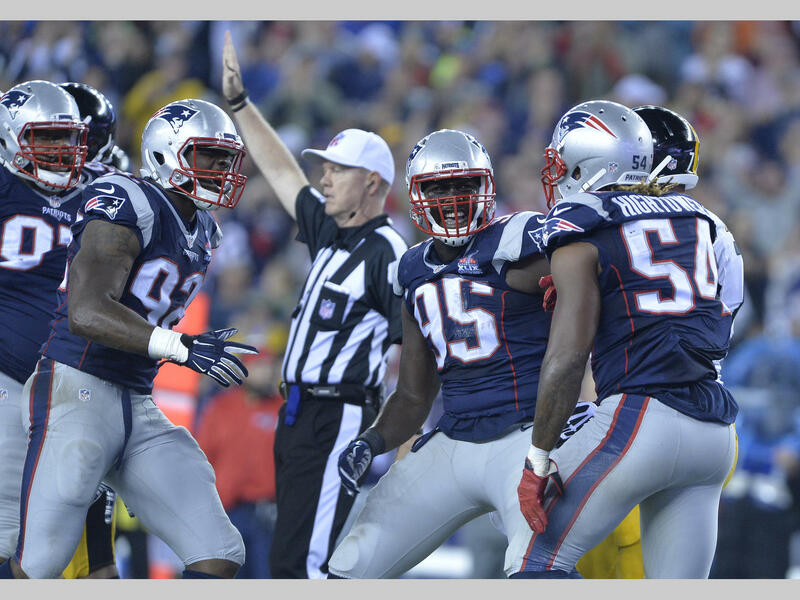 The Patriots defense started out fast and with energy, but tailed off greatly as the night went on. The front seven was decent and got to the quarterback when they needed to. Nevertheless, DeAngelo Williams ran for 127 yards, mostly right through the middle of the defense. In addition, the secondary was as expected, inconsistent. Malcolm Butler was manned up for the vast majority of the game against Antonio Brown, who is an absolute freak. That is no excuse for poor play from Butler, he should be expected to take on top tier receivers as the teams number one corner. He did fight hard against Brown and had a few flashes, but for the most part he just seemed out matched and out talented. Antonio Brown finished with nine catches on eleven targets, for 133 yards, and a touchdown. The secondary certainly will be a work in progress, and one main takeaway from the week one victory is that they did not give up many points and made stops when they had to. In conclusion, the Patriots made a statement win on Thursday night while putting all the distractions from outside behind them and focusing on, “Doing their Job.” Tom Brady was phenomenal, and the offense with two rookie lineman, looked like the best in the league. The defense is for sure a work in progress but nothing is perfect in week one. Now the team has a nice break over the weekend, and they will need it because Ralph Wilson Stadium will be raucous next Sunday when the Patriots travel to take on Rex Ryan and the new look Buffalo Bills. You can almost bet on that game being much tougher than Thursday nights game. Winning the first game is nice, now its on to Buffalo.